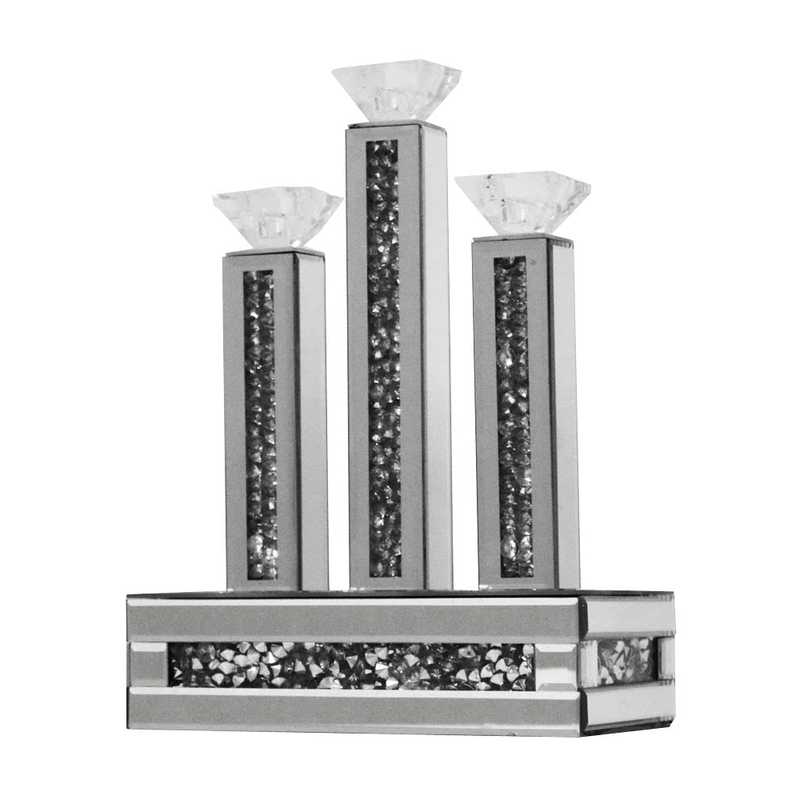 This is a stunning mirrored candle holder that could be perfect for your home. This mirrored candle holder is such a beautiful piece and holds so much elegance with it. This is a candle holder which can hold 3 candles at the same time. It is also part of the Gatsby collection, a truly beautiful mirrored collection.